There are many ways to camp. 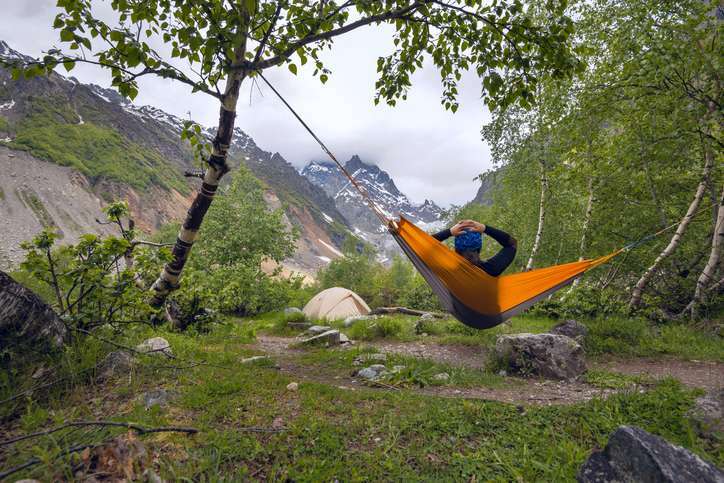 From old-fashioned “sleeping bag under the stars” to full luxury “glamping,” there’s a way for every type of person to enjoy the great outdoors for their own version of a camping adventure. Here at Southeastern Expeditions, we love getting out and experiencing nature. Since 1972, we have been offering some of the most exciting whitewater trips in the Southeast! Adding a whitewater adventure to your camping trip is the perfect way to create a memorable trip. Take advantage of the Georgia State Parks camping sites: The state of Georgia is blessed with a seemingly endless number of forests, lakes, rivers and streams. Create a home base in one of the state’s well-serviced sites or travel around the state checking out the varied scenery and wilderness that Georgia has to offer. Book ahead: Interest in tent camping in Georgia took off in the mid-1970s, and the pace has never slowed down! Book your campsites before the peak camping season in spring and summer to get the best choice in sites and facilities. Consider camping off-season: Summer camping crowds cramping your style? Why not book your camping trip in the fall or winter? You can even add one of our whitewater adventures down the Chattooga right into October, which you won’t find with most other outfitters! Add Georgia State Park and River State Park to your itinerary: While everyone can build their own camping adventure, these two parks are definitely worth checking out. You’ll find a great mix of pristine nature and modern amenities to suit every type of camper. Pack light for a hiking adventure: Grab a compact tent and pack just the bare essentials for an energetic and exhilarating tenting adventure. Georgia has countless hiking trails that join many great campsites, making it easy to hike and tent your way across the state. Get wet: Georgia has the benefit of being a coastal state that also includes beaches, farmland, forests and mountains. Enjoy lounging at the beach or head inland and explore the countless waterways, rivers, rapids and streams that the great state of Georgia has on tap! Bring the whole family: A Georgia camping trip is a perfect way to spend time with your family. You will find safe, secure, comfortable camping facilities in every corner of the state, so pack up the whole family and get out and explore! 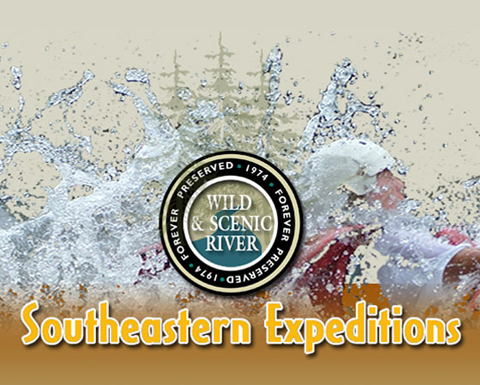 While every state has its own special feeling, here at Southeastern Expeditions, we’re particularly partial to Georgia’s stunning nature and wilderness, as well as the extremely well-developed and lovingly maintained camping facilities dotted across the state. Contact our team if you’re interested in one of our unforgettable rafting adventures. We can give you even more tips for camping in Georgia and tell you about some of the best hidden gems, so let us know when you would like to grab your tent and get out to explore Georgia like a true adventurer!